A box of 24 pcs 3" unscented floating candles. 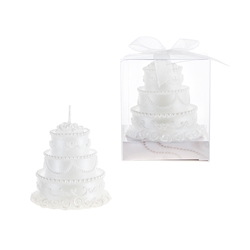 These floating candles are a disc shape and the wick is made of 100% cotton that is lead free. The floating candles have a burn time of up to 8 hours and can be used to illuminate a setting in a variety of ways.